While 2018 has been a bitter winter for blockchain technology, but there’s every possibility to see a brighter year in 2019. DMarket’s Vlad Panchenko will be discussing how to monetise smarter as a blockchain project in an increasingly sceptical market. 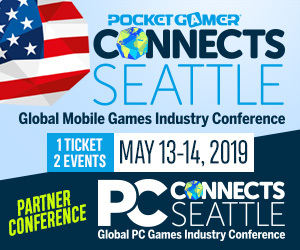 Pascal Jarde of Moonify will also be talking about how to create a monetized system which benefits the user and developer in a seamless, innocuous way. Our Link to the Future ends with a glimpse at what the future blockchain technology has: a panel discussion featuring Joony Koo of Gumi, Alex Amsel of Valerian Capital, Richard Yang of Coco’s-BCX, and Adam Whyte of Edge Esports. #1 – Pascal Jarde – Moonify: Monetizing your game! What’s next? One of the major challenges that developers face is monetizing their game without damaging the users experience. Pascal Jarde of Moonify talks us through just how this can be done thanks to blockchain, allowing developers to monetize in a seamless way without harming the user experience. #2 – Panel Discussion: Where is the future for blockchain? While a great many projects rightfully take an ‘in the now’ approach towards their project. There are many that ask what the future has in store for blockchain? 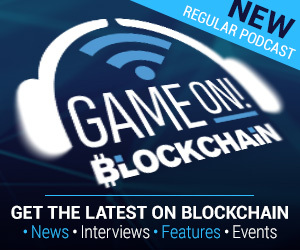 An example of the latter is sitting on our panel for Blockchain Gamer Connects. They sit and deliberate the hard questions of where blockchain is heading.